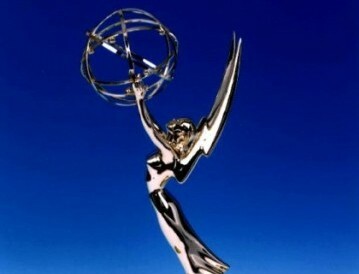 Daytime Emmys Looking For New Broadcast Home! HLN Says "It's Fairly Definite" The Cable Outlet Will Not Air It For Third Year! 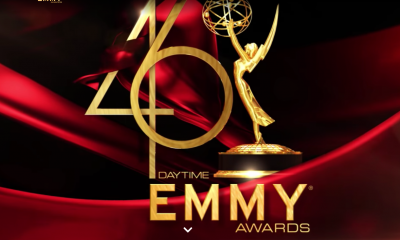 The 41st annual Daytime Emmys, or the 2014 edition, of the only televised award show that still honors the daytime soap opera is looking for a new home to broadcast the upcoming award ceremonies! So, who do you think should air the Daytime Emmys this year? What cable outlet is the perfect fit? Or, do you think somehow it will return to network television? Or, are those days over? Weigh-in on your choices! We have ours! Josh Duhamel Calls Out Radar Online For Report That He is Driving A Wedge Between Wife Fergie And The Black Eyed Peas! REPORT Alleges Fired Y&R Star Michael Muhney Has Been Ordered By Sony and CBS To Not Discuss Anything About The Show Or The Cast! Would love to see CBS give the Daytime Emmy Awards show another chance IF they do not make it a Las Vegas commercial or some such again. With the Eye Network enjoying top ratings for Y&R for a 25th year, why not? And though I am hesitant to even suggest it, the women of THE TALK — including Mrs Les Moonves, Julie Chen — could host. All this says “major promotion for daytime” to me. Look at all the primitem people that could step up, like Shemar Moore who is star of the web’s CRIMINAL MINDS. Sorry but no way. CBS was horrible, awful, it made me want to throw my TV out the window. It was all about CBS and Vegas, what a coincidence CBS won all the awards. Soap awards not longer have any meaning anyway. When there were 12+ soaps it was an accomplishment. With four (online OLTL AMC don’t have a chance, OLTL was never taken seriously when in was on ABC) it’s more of an award for attendance, just showing up. 😉 They can rotate who wins it every year now. I’m not surprised HLN is dumping it, they did an awful job. In the OLTL tribute Susan Lucci said her own name and Erica Kane 20 times and OLTL once while Erica Slezak just stood there. I don’t get why is it on a home shopping channel anyway? NO! Not every cable company carries TVGN. I’m just glad HLN isn’t carrying it again. They were horrible! This show needs to be on network, just like the nighttime Emmys. Maybe if it was, it would be a better show. Hopefully OWN will step up. If they did the Daytime Emmys, without all the spectacular bling and just went with the giving of the awards with etiquette fanfare it would not need to cost millions of dollars to produce.. The awards are way too long with unnecessary filler.. If the Daytime Emmys, were done less expensive it would be easier to get a network to take them on..
Maybe the OWN network. She can tout her own soap, the Haves and Haves Not. I think, this, is, a great, IDEA! The H&HN is a nighttime show & not eligible for a daytime Emmy. And OWN is not available on all cable companies. I doubt HLN will o it again with all the hate post they got. hey didn’t produce them. They only aired it. They should have went after the producers not the channel. I was so glad they were on…. Well, I would love to see ABC make a bold move and air them on their network but I do believe that the days of networks airing the Emmy’s, has come and gone. Because networks own cable channels, for example Lifetime is Disney/ABC owned, i don’t know which channels would be willing to air them, honestly. The Daytime Emmys should air during daytime hours with the 3 netorks alternating the ceremonies. That’s how it used to be done. The Networks alternated it. And I agree w the comment above, introduce a couple, they read the nominees, we see part of the submission reel, winner announced, thank you speech….next. None of this other garbage. I have- been saying it for years. Prempt a Talk show and make it just a hour show with clips and awards. Easy. This was done during the Emmy’s first 16 years! Exactly, I think that is the way it used to be and I don’t see any reason why it can’t return to that – CBS just renewed their whole daytime block, so the shows are doing well – show their daytime viewers some respect and have the Daytime Emmys on a network during the day – sans the Vegas infomercial. Too bad. Hope someone else will step up. I wish one of the major networks like ABC, NBC, or CBS would step up. I think ABC and CBS should do it just for publicity reasons. ABC, while General Hospital is fantastic and has exceeded ratings expectations, people are still mad about their dual cancelations of One Life to Live and All My Children. CBS has been getting a lot of bad press lately because of the Michael Muhney firing and allegations that followed. 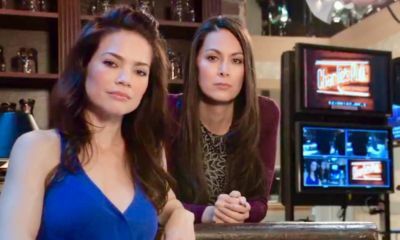 Either of these networks hosting the Daytime Emmys could save face with some soap fans. I agree with you!!! It bugs me that the major networks still get MAJOR revenue from their daytime shows (soaps, talk shows, court shows, educational shows, etc, etc) yet turn a blind eye when it comes to showcasing a primetime award show for those shows that generate millions for them. Actually, I don’t think most people really care about the daytime emmys anymore. All the networks stopped airing it for a reason– no viewers. I hate to say it, but these awards should go private like the technical awards–and then every year at the primetime emmys- one or two winners from this private ceremony could be featured. Or go private but have a internet feed so those who wish to watch it could follow it on line. Why not just add some categories to the regular Emmy’s and combine the 2. Maybe Oprah will show the Daytime Emmys on one of her channels – OWN or OXYGEN. That would certainly strengthen her relationship with the Soap Fans! ABC! Since they are responsible for taking OLTL and AMC off the air and their issue with Prospect Park, they should step up and show remorse to the fans and because General Hospital is the last daytime drama left on their network. They need to try to regain support and trust from ABC viewers. That is the least they could do. 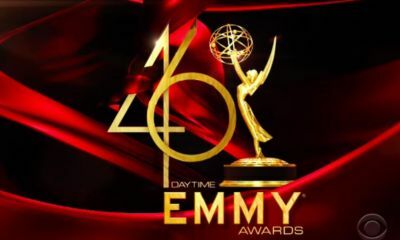 I think that “The 41st Annual Daytime Emmy Awards” should go back airing on the CW, where it contains lots of primetime drama. And, if that’s possible, I’d like to see “America’s Got Talent” host Nick Cannon sign millions of “lambs” and daytime television fans to his petition, so that his wife, singer Mariah Carey can host that awards show then. I’d like to see her try other things. This says everything about the state of daytime television, specifically the soaps. Few people care anymore and how can you choose a best of anything with only four soaps left. I doubt any of the networks will pick it up. Why don’t they just go back to what they did in the 70′s & 80′s when the three networks took turns airing it live in the afternoon? Makes sense .. they are the DAYtime Emmy Awards after all. I would like to see the Daytime Emmys be presented in a time of 30 minutes on NBC during what would be the Nightly News with Brian Williams. Those special news interruptions are making me angry!!! Just keep it a private ceremony. It’s a waste of time. TVGN can do a 30 minute highlight reel. we all feel that cbs or basic network should air the day time emmy’s. it was disappointing that it was not on basic network , for all to see. I was reading the comments above and I wanted to put my imput in it. I agree with everyone who mentioned the following networks. 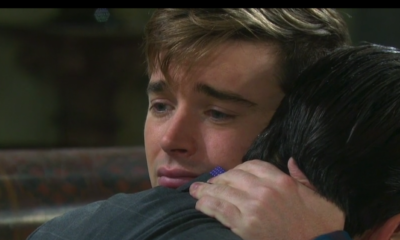 TVGN: CBS soaps air there anyway so having it there makes sense; if it’s true about limited coverage of the channel then maybe it can air live on the website too. CW: The CW is on their way to being a contender for the networks, and they’re already collecting holiday specials and award shows under their belt. Adding this is no problem for them. OWN: Oprah wanted to save the daytime dramas back then but couldn’t. Carrying the daytime emmys would make up for it. They can also promote their shows in the hopes that these eyes can stay glued to their network long after the DE are over. Non-Televised: Just because it’s not on the air doesn’t mean they can’t have it as planned. The difference is speeches can be longer and mistakes/swearing/blunders aren’t a highlight reel. It’s a crying shame that the daytime emmys are getting spit on year after year. It’s a section of the emmys that deserves more repsect than it gets. This is one awards show I look forward to because these actors work harder than primetime and movie actors. Seeing them get their due is priceless. SO not fair to everyone in involved with Daytime. Daytime is in demand for fans, public. I find daytime Emmys so much better then the other one. Try a canadian company maybe they would take it…..I want to come and see the awards show live and I live in Toronto Canada. How does one get tickets for that anyway? thanks and everyone needs to speak up on this as we all want to see them. and inappropriate comments = kept saying amazing and awesome. Sheryl Underwood took the stage = made extremely crude vile remarks. In addition it was a very amateur production = many pauses etc!